The Star of David is a six-pointed star made up of two equilateral triangles superimposed over each other. It also is known as a hexagram. In Hebrew, it is called the magen David (מָגֵן דָּוִד), which means the "shield of David." The Star of David doesn’t have any religious significance in Judaism, but it is one of the symbols most commonly associated with the Jewish people. The origins of the Star of David are unclear. We do know that the symbol hasn't always been associated exclusively with Judaism, but was used by Christians and Muslims at various points in history as well. Sometimes it was even associated with King Solomon instead of King David. "He will merit to bestow a bountiful gift on anyone who grasps the Shield of David." The Star of David was eventually cemented as a Jewish symbol when it became a favorite architectural decoration on Jewish buildings throughout the Middle Ages. According to German-born Israeli philosopher and historian Gershom Sholem, many Jews adopted this symbol in Eastern Europe in an effort to match the prevalence of the Christian cross. 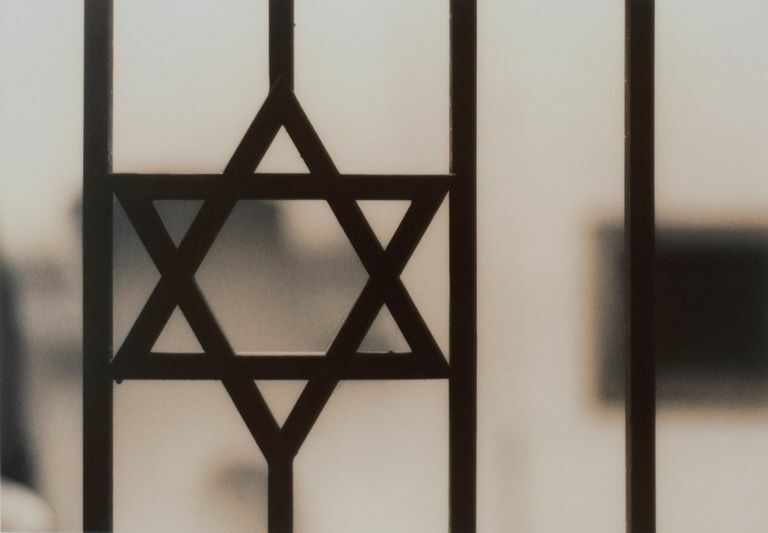 Then, during World War II, when Hitler forced Jews to wear a yellow Star of David as a "badge of shame," the symbol became prominently cemented as a Jewish symbol. Jews were also forced to wear identifying badges during the Middle Ages, although not always a Star of David. Jews reclaimed the symbol, beginning with Zionists at the First Zionist Congress in 1897, where the Star of David was chosen as the central symbol of the flag of the future State of Israel. Today, the flag of Israel features a blue Star of David prominently in the middle of a white banner with two horizontal blue lines on the top and bottom of the flag. Likewise, many Jews wear jewelry that prominently features the Star of David today. What Is the David Connection? The symbol’s association with King David comes mostly from Jewish legend. For instance, there is a Midrash that says that when David was a teen he fought an enemy, King Nimrod. David's shield was composed of two interlocking triangles attached to the back of a round shield, and, at one point, the battle became so intense that the two triangles were fused together. David won the battle and the two triangles were henceforth known as magen David, the Shield of David. This story, of course, is just one of many. There are several ideas about the symbolic meaning of the Star of David. Some Kabbalists thought that the six points represented God's absolute rule over the universe in all six directions: north, south, east, west, up, and down. Kabbalists also believed that the two triangles represented humanity’s dual nature—good and evil—and that the star could be used as protection against evil spirits. The structure of the star, with two overlapping triangles, has also been thought to represent the relationship between God and the Jewish people. The star that points up symbolizes God, and the star that points down represents Jews on Earth. Yet others have noticed that there are 12 sides on the triangle, perhaps representing the Twelve Tribes.